It was investigated whether the SH-groups of con- tractile proteins are involved in NO-induced relaxation of saponin-skinned smooth muscle strips. Both, the thiol-specific alkylating agent N-ethylmaleamide (NEM), and thiol-reducig agent dithiotreitol (DTT) induced relaxation of maximally activated skinned rat portal vein preparations. The relaxing effects of DTT and nitric oxide donor sodium nitroprusside were not addіtive. After the relaxation, induced by one of this agent, the effect of the other one was negligible. We suggest that NO-induced smooth muscle relaxation be due to decreasing of force sensitivity to Ca2+. This effect of nitric oxide is realized by its interaction with critical thiol groups of smooth muscle contractile proteins. Данилова В.М. Біохімічні механізми регуляціїскорочення гладеньких м’язів // Биополиме-ры и клетка – 1996. – 12, № 4. – С.3-19. Мойбенко О.О., Сагач В.Ф., Шаповал Л.М. таін. Роль ендотелію та біологічно активних речо-вин ендотеліального походження в регуляції кро-вообігу і діяльності серця // Фізіол.журн. –1997. – 43, № 1-2. – С.3-18. Сагач В.Ф., Андрухов О.Я. Вплив оксиду азотуна скорочувальну активність скінованих препа-ратів гладеньких м’язів ворітної вени щура //Там же. – 2000. – 46, № 1. – С.3-8. Ткаченко М.М. Оксид азоту та судинна регуля-ція // Журн. АМН. України. – 1997. – 3, № 2. –С.251-254. Andrade F.H., Reid M.B., Allen D.G., WesterbladH. Effects of hydrogen peroxide and dithiotreitolon contractile function of single skeletal musclefibers from the mouse // J. Physiol. – 1998. –509, Pt.2. – Р.565-576. Andruchov O.Y. Sagach V.F. Effects of nitric oxideon the contractile activity of the skinned rat portal and papillary muscle // Neurophysiology. –2000. – 32, № 3. – Р.242-243. 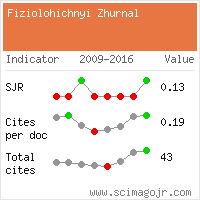 Bolotina V.M., Najibi S., Palacino J.J. et al. Nitric directly activates calcium-dependent po-tassium channels in vascular smooth muscle //Nature. – 1994. – 368. – P.850-853. Butler A.R., Flittney F.W., Williams D.L. NO,nitrosonium ions, nitroxide ions, nitrosothiols andiron-nitrosyls in biology: A chemist’s perspective// Trends Pharmacol. Sci. – 1995. – 16, № 1. –P. 18-22. 9. Dalle-Donne I., Milzani A., Guistrani D. et al. S-NO-actin: S-nitrosylation kinetics and the effecton isolated vascular smooth muscle // J.Muscle. – 2000. – 21, № 2. – Р.171-181. Fujioka H., Horiike K., Takahashi M. et al. Dithio-threitol-induced triphasic response of dog coronaryarteries // Eur.J.Pharmacol – 1989 – 166, № 1. – Р.13-22. Furchgott R.F., Zawadski J.V. The obligatory roleof endothelial cells in the relaxation of arterialsmooth muscle by acetylcholine // Nature. – 1980. –288. – P.373-376. Hoar P.E., Kerrick W.G. Mn2+ activates skinnedsmooth muscle cells in the absence of myosin lightchain phosphorylation // Pflugers Arch. – 1988, –412, № 3. – Р. 225-230. Kojima S.-I., Fujiwara K., Onishi H. SH1 (Cys-teine 717) of smooth muscle myosin: its role inmotor function // Biochemistry. – 1999. – 38,№ 36. – P.11670-11676. Lalli M.J., Obara K., Paul R.J. Vanadate oxidationactivates contraction in skinned smooth musclewithout myosin light chain phosphorylation //Amer. J.Physiol. – 1997. – 272, №.1. – Р.С278-288. Onishi H. N-Iodoacetyl-N’-(5-sulfo-1-naphthyl) modification of myosin from chi-cken gizzard // J.Biochem. (Tokyo) – 1985. 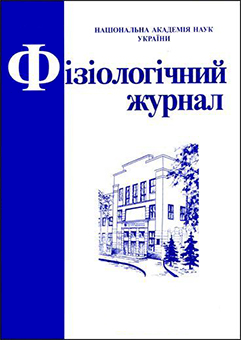 –98, № 1. – P.81-86. Palmer R.M.J., Ferridge A.G., Moncada S. Nitricoxide release accounts for the biological activityof endothelium-derived relaxing factor // Nature. –1987. – 327. – P.524-526. 19. Rayment I., Rypniewski W.R., Schmidt-Bдse K.et al. Three-dimensional structure of myosin sub-fragment-1: a molecular motor // Science – 1993. –261, № 5117. – P.50-58. 20. Saida K., Nonomura Y. Characteristics of Ca2+-and Mg2+- induced tension development in che-mically skinned smooth muscle fibers // J.Gen.Physiol. – 1978. – 72, № 1. – P.1-14. Stamler J.S. Redox signalling: nitrosylation andrelated target interaction of nitric oxide // Cell. –1994. – 78, № 6. – P.931-936.